The city of Wilmington, North Carolina uses its fiber network to turn the lights off at sports parks at night. Cameras have been placed at every sports and recreation field, along with remote control light switches. A single city employee can quickly check the cameras to see if anyone is still at a field, and if not, a couple of mouse clicks turn off the lights. The city expects to save $800,000 per year on electricity costs. That will build a lot of fiber. But wait...there's more! Here is the most interesting part: "...an employee can do this from home..." From home. Read that again: from home. And here is why we need fiber everywhere, not just at the city or county admin building. The technology enables more people to work more efficiently wherever they are, not just while they are in the office. If you want your employees to be able to access dozens of video streams from home, guess what? You need business class broadband throughout your community. Governor Perdue of North Carolina has indicated that she will not veto the anti-community, anti-economic development, anti-jobs, anti-rural anti-broadband bill recently passed by the North Carolina legislature. Instead, she will signal her "displeasure" by allowing it to become law without signing it. This may not be the end of the world, but it is certainly a catastrophe, first and foremost for rural communities in North Carolina, who have been thrown under the bus by their own representatives, and second for other states and rural communities in the U.S. Expect that the incumbents, emboldened by this success in North Carolina, will try to purchase more laws in other states. "...One of the most difficult and expensive line-items in this multi-million dollar project was securing a broadband link to the site in rural Chatham County. I spent more than two years begging Time Warner to sell me a service that costs 50x more than it should, and that's after I agreed to pay 100% of the installation costs for more than a mile of fiber. 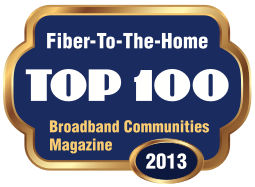 .... Community broadband initiatives reach more people faster, at lower costs, leading to better economic development. Take it from me: had I been able to spend the time and money on community broadband that I spent in my commercial negotiations, there would be more jobs in Chatham County today." If it seems like I am writing a lot about the situation in North Carolina, it is because the broadband fight there has national implications. This short article from DSLReports does a good job a summarizing just how awful the situation is. Right now, only the Governor can stop it, as the legislature (both houses) has passed this monstrosity. The dire situation in North Carolina with H129 (effectively bans community investments in broadband infrastructure) continues to attract national attention. Well known legal expert Lawrence Lessig has issued a plea to petition the governor to veto the bill. FCC to North Carolina: What the heck are you thinking? When an FCC Commissioner takes the time to tell your state that what your legislators are doing is foolish, your state has a problem. The only good thing about this flurry of anti-jobs legislation is that economic developers in the states adjacent to North Carolina, South Carolina, and Arkansas must be dancing a jig. The headline is a little misleading, as a bunch of Democrats also voted for this awful bill. This highly political fight in North Carolina may be good for candidates in both parties with respect to fundraising, but deliberately voting to cripple the future economic development of rural communities is, well, bad for business. Literally. Much confusion is being sown by incumbents who are not explaining the difference between the current "little broadband" networks (DSL, wireless, cable) and "big broadband" fiber networks that are being built by communities to retain existing businesses and attract new ones. Big broadband, simply, is about jobs, now and in the future. There are very few businesses left that don't need affordable high capacity broadband. I have written before about the deli owner who was losing lunch business because credit card verification over his DSL line was taking too long. Why politicians of any party think it is a good idea to cripple economic development in their districts is a mystery. NC legislators to businesses: Don't come to our state! Just when you thought you had heard it all, North Carolina legislators are about to pass a law declaring the state a broadband-free zone. An amendment to a very bad broadband bill will declare that "broadband" is any service that is "occasionally capable of achieving 768kbps downstream and 200kbps upstream." This is 1/5 of the feeble national goal of 4 megabits downstream and 1 megabit upstream. If there was ever a declaration of war against economic development, this is it. If it were 1920, it would the equivalent of outlawing paved roads, on the theory that "our daddies rode horses, and that's good enough." If it was 1930, it would be the equivalent of outlawing community sewer systems, on the theory that "I grew up using an outhouse, and that's good enough." Meanwhile, city leaders in Chattanooga, Tennessee and southwest and central Virginia are rubbing their hands in glee. I don't what is in the water in North Carolina, but some legislators seem determined to cripple the prosperity of towns and cities in the state. A bill to outlaw community-owned networks is working its way through the legislature, and the City of Asheville notes that the bill is so poorly worded that it would prevent the City from accepting money from the Google Fiber initiative and from Federal broadband grant programs like the the Department of Commerce broadband stimulus initiative. Muni Networks has more on the fight. Via Stop the Cap!, some North Carolina legislators seemed determined to kill jobs and economic growth in North Carolina's communities by banning community-owned broadband. The cable companies hope to succeed in getting this legislation passed in North Carolina. If they are successful there, they will surely move the same tactics to other states. It will be devastating if they are successful, as it will leave rural communities without the telecom infrastructure needed to attract businesses and jobs. Via Stop the Cap!, a bill has been introduced in the North Carolina legislature to make it extremely difficult for communities to invest in broadband infrastructure. The article is excellent, with a detailed analysis of the issues, so I'm not going to try to summarize it here--just read the whole thing. The bill is sponsored by a Republican legislator, but the ability of communities to decide their own economic future should not be a partisan issue, and I think both parties have a faulty perspective. Democrats tend to be friendlier towards community broadband, but too often, Democratic proposals focus on more regulation, which often has the unintended consequence of making it more difficult to get local projects started. Republicans, while they ought to be supporting free markets and competition, too often listen only to the incumbents, and get sucked into supporting things like this new NC legislation, which looks more like crony capitalism than free markets. Banning communities from investing in broadband would be like banning water and sewer. Water, sewer, and broadband are and have become basic economic development infrastructure, and putting roadblocks up that keeps communities from attracting new jobs and retaining existing businesses makes no sense. Ars Technica reports on a running fight that Time-Warner has picked with the town of Wilson, North Carolina. It's a long, sad story that is worth a full read, but the bottom line is that the incumbents continue to try to force mediocre telecom services onto their customers in the name of "fairness." It is also why Design Nine typically recommends that community consider an open access network, where customers buy directly from private sector service providers rather than the local government. Open access does not guarantee that there won't be an incumbent challenge, but the open access business model makes it much harder for an incumbent to complain about "fairness," since the local government is not selling services, only private sector competitors to the incumbent. Save NC Broadband reports that the attempt to halt community-owned and municipal broadband in North Carolina met its final defeat this year. The effort to get a bill passed that would essentially prohibit municipalities from taking control of their own economic future dragged on through the entire NC legislative session, and someone could probably write a pretty good horror movie script from the saga. Opponents to the measure thought they had put a wooden stake through the heart of the bill several times, only to see it re-emerge. It's a good object lesson for communities: never give up, and always remember: incumbent providers don't vote, citizens vote. The broadband battle rages on in North Carolina, with more and more people starting to realize that the state and NC communities needs flexibility in addressing economic development problems. A knock down, drag out fight over the right of communities to control their economic future continues in North Carolina. Via Save NC Broadband, the City of Salisbury, North Carolina is struggling to put a stop to a state legislature proposal to ban community investments in broadband. The cable companies in North Carolina are encouraging the ban, and as the editorial notes in the link above, this is really about the right of communities to determine their own future. As is often the case, using a roads analogy helps put it in perspective: "... That's like letting one or two asphalt companies determine the future of North Carolina's roads." Communities need modern digital road systems that will help retain existing businesses and assist with attracting new ones. It almost beggars belief that NC legislators want to cripple economic development and drive businesses into neighboring states like Virginia, where community fiber projects like nDanville have brought more than 550 new high tech jobs to Danville, Virginia in the past year. Danville's open access network does not compete with the private sector because all services are being offered by private sector companies, which creates a win-win situation. The City of Danville has lowered the cost of offering high performance broadband and created new business opportunities for private sector firms. This "third way" approach to broadband is a win-win approach to community broadband that neatly balances public and private interests. The City of Wilson, North Carolina has a city-owned fiber network called Greenlight that is offering 20 megabit symmetrical Internet access for $54.95 a month. I think this qualifies as the fastest and cheapest services in North Carolina. If you tried to buy that level of service via DSL or cable, you would pay several times that, if you could even get it. But wait, there's more! They have symmetric service tiers all the way up to 100 megabits. Very few people would need that much, but as I have noted previously, Design Nine continues to talk to businesses who want their home-based workers to have symmetric connections of 20-50 megabits, primarily to support HD videoconferencing. So the City of Wilson has something very few other communities can offer in terms of business relocation--the ability to work from home or to run a business from home, with very affordable, high performance connections. A grass roots effort in North Carolina to beat back an anti-broadband bill in the legislature has apparently had some effect, as the bill was sent back to a committee for more study. Opponents of the bill think that's good enough for now, although most of these bills continue to re-surface year after year.